Prices of the WTI are trading closer to the critical $50.00 mark/bbl. Increasing hopes of a US-China trade deal bolster the sentiment. 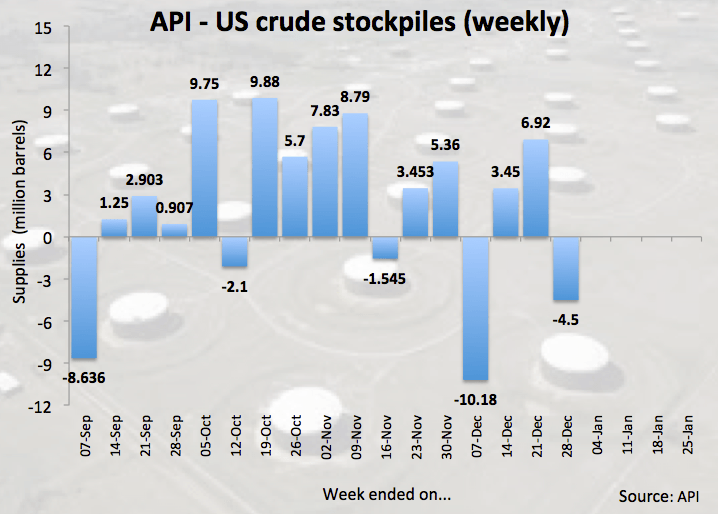 US API weekly report on crude oil inventories next on tap. Prices of the barrel of West Texas Intermediate are prolonging the upbeat mood today and are trading at shouting distance from the psychological $50.00 mark. Rising optimism on a potential US-China trade deal continues to morph into extra oxygen for the risk-associated complex, in turn pushing prices of the American reference for the sweet light crude oil to fresh multi-day peaks in levels just shy of the $50.00 mark per barrel. A potential agreement between China and the US could help avoiding a slowdown in both China and the global economy, as this has been one of the main drivers of the slump in crude oil prices in the Q4 2018. Further support for higher crude oil prices came from rising Turkish exports of Iranian crude, planned output cuts in Saudi Arabia and the almost omnipresent problems in Libya’s Sharara oil field. Moving forward, the American Petroleum Institute will publish its weekly report on US crude oil supplies ahead of tomorrow’s official DoE report. At the moment the barrel of WTI is up 0.95% at $49.10 and a breakout of $49.68 (high Jan.7) would aim for $52.16 (200-week SMA) and finally $54.45 (high Dec.4). On the downside, the next support lines up at $47.91 (21-day SMA) seconded by $46.22 (10-day SMA) and then 42.22 (2018 low Dec.24).